Given the increasing globalization of business and supply chains, organizations in any industry need an operational risk management framework to ensure that any potential risk is on your radar. At Expert System, we leverage our cognitive technology to ensure that all of the information you manage, from any internal, external or deep web source, is available for a complete view of your risk environment. Streamlining the analysis of big data, which includes volumes of unstructured information from the internet and the deep and dark web is essential fuel for real time risk assessment in order to gain a deep understanding of which events in your universe—your supply chain, your competitors, your customers and any events that generate risk—could impact your operations. Thanks to its ability to read and understand written language on any scale, Expert System’s semantic technology supports risk analysts in acquiring and analyzing a wide variety of unstructured information from internal and external sources (print media, internal databases, company data, web sources and social media, the deep web and dark web, etc.) to track and identify issues of relevance, critical events and even weak signals in information. Cogito Intelligence Platform is the cognitive software designed to make risk assessment more effective by helping organizations assess, mitigate and even completely avoid risks through analysis and monitoring of open source information and other less accessible sources. 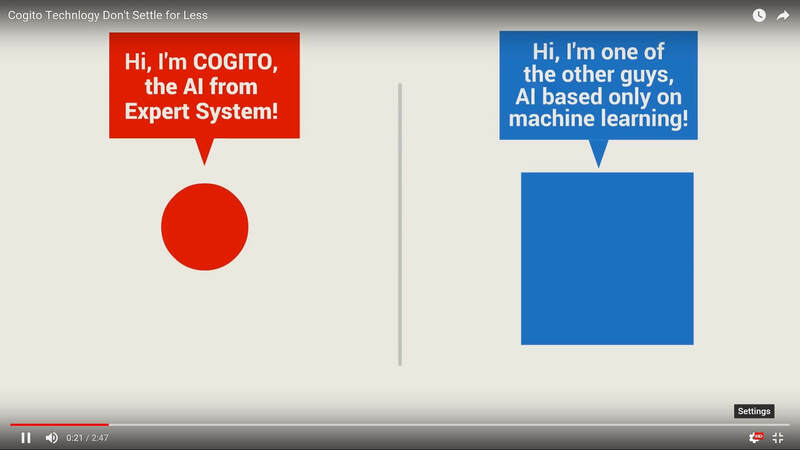 With its ability to read content, understand and learn like a human, Cogito Intelligence Platform is built for deep and wide analysis. Start with thousands of sources and millions of documents and Cogito Intelligence Platform will narrow them down to the ones that matter in as few as three clicks.